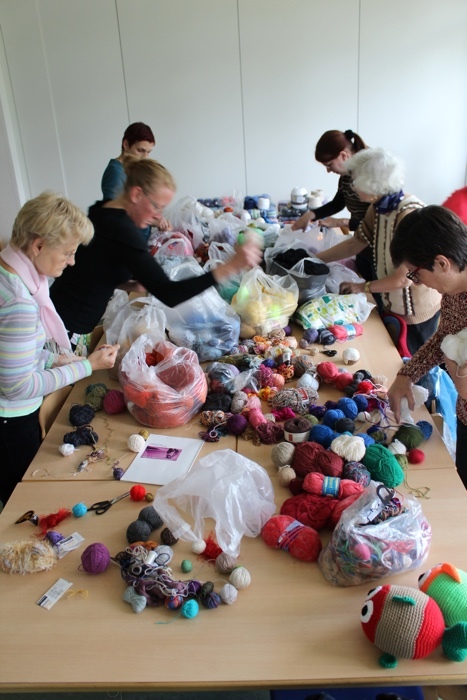 Once we had decided on the goal of our project, it was time to sort the masses of yarn donated by kind individuals. 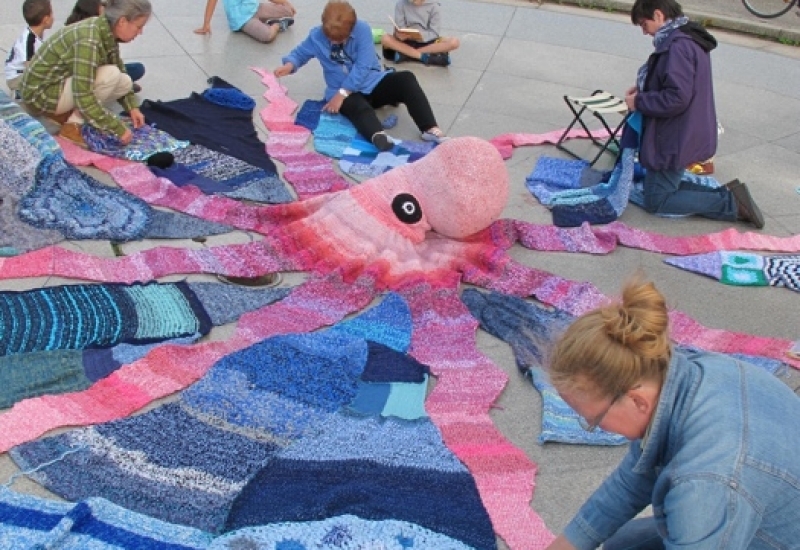 The first fish for the ‚water‘ had already been made. 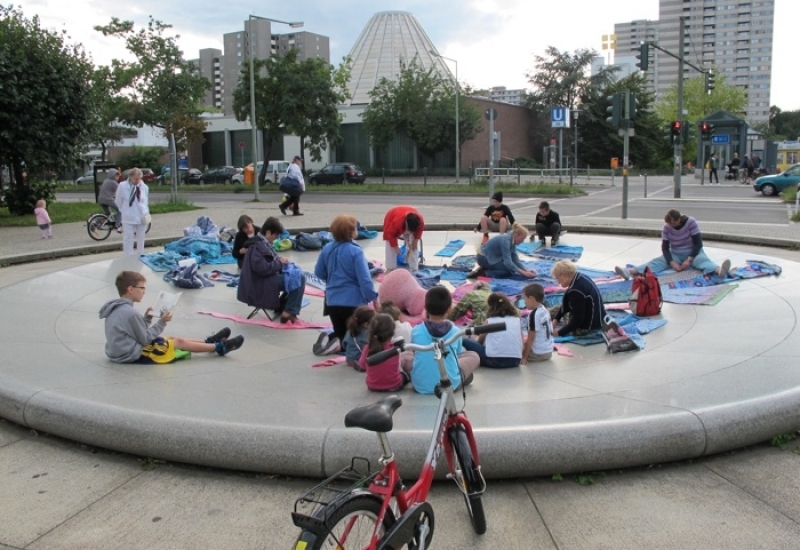 After working on pieces for the fountain, individually and as a group in the public space in an around Bat Yam Platz in Gropiusstadt, it was finally time to transport and assemble all the pieces at the fountain. 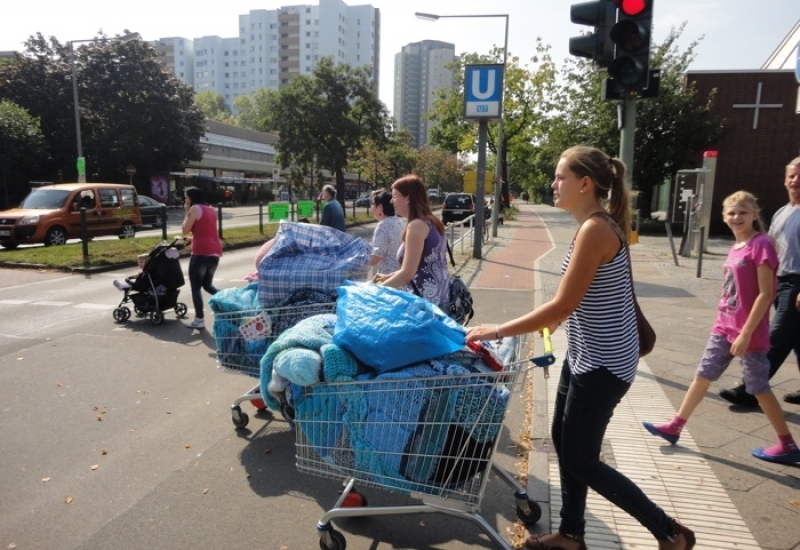 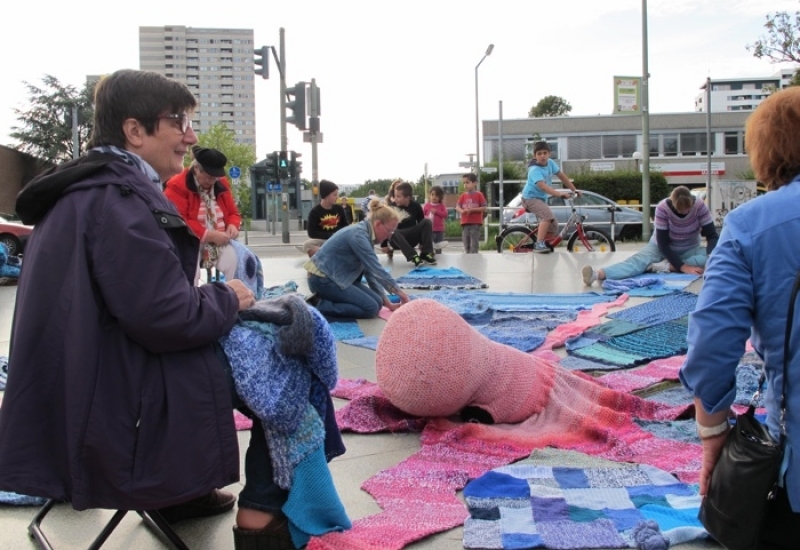 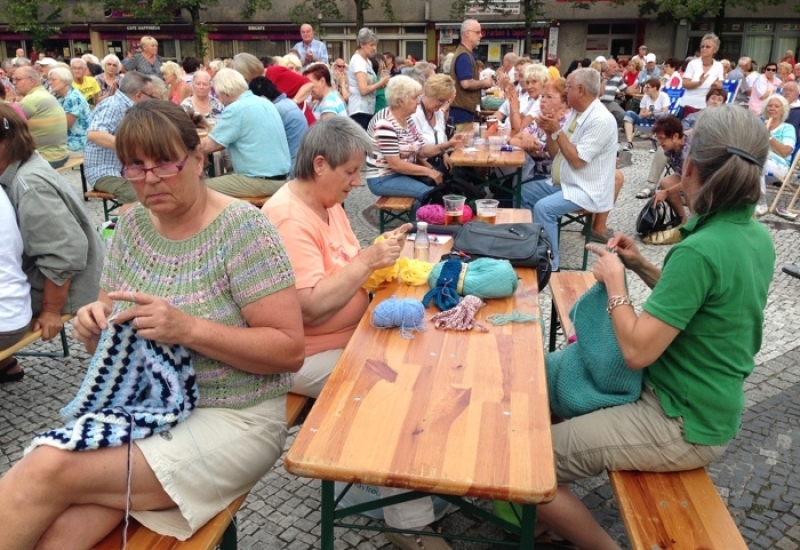 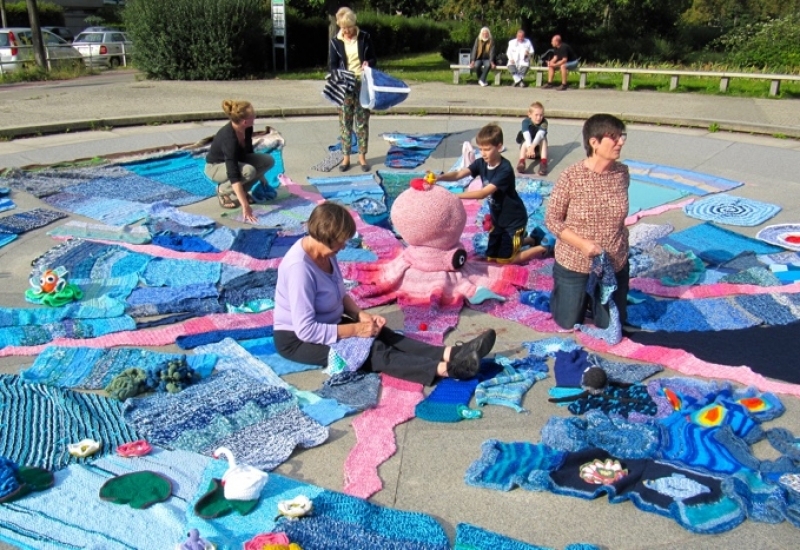 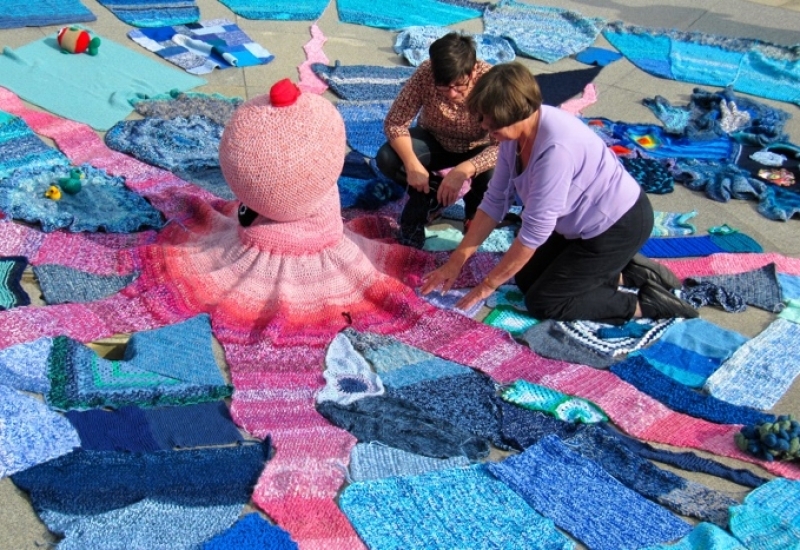 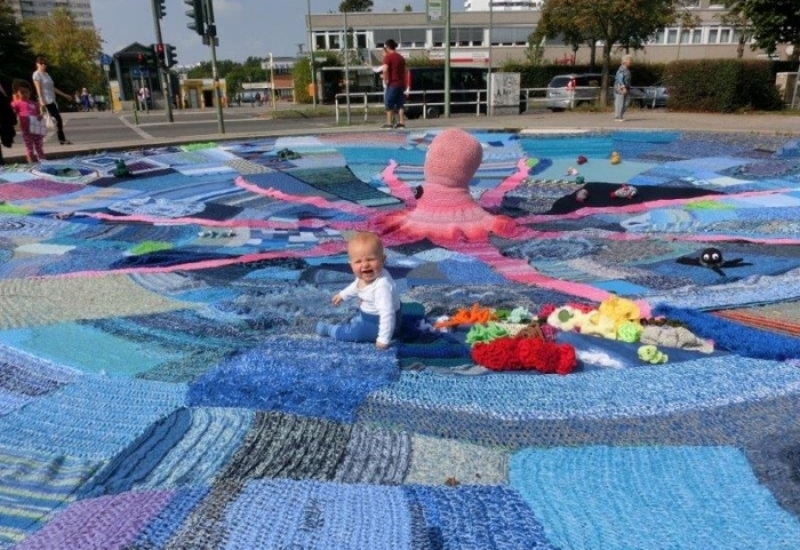 The colorful final result—a real draw for visitors—was shown during the weekend of the festival ‘Gropiusstadt Bewegt Sich’ at the beginning of September 2014. 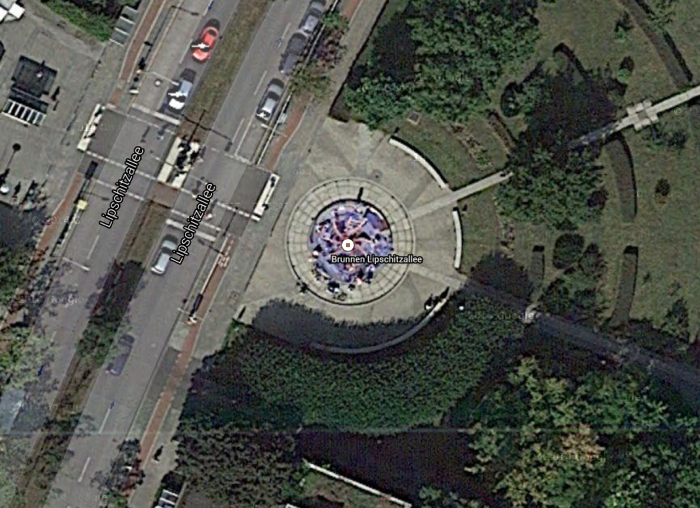 One afternoon while we were at work in the fountain, Google Earth flew over Gropiusstadt and took this picture.